Prime Minister Narendra Modi on Sunday stressed the importance to understand the values of safety in day-to-day lives and pitched to become more safety conscious. In his 41st edition of Mann Ki Baat, the Prime Minister said that safety at the time of disaster can only be ensured when people will become safety conscious. "We have to become a risk-conscious society. We talk about the safety of values in the culture. But we have to understand the values of safety as well. We have to make it a part of our life. Safety of the society is ensured if we are conscious of our own safety," the Prime Minister said. Further emphasising on the same, Prime Minister Modi said that the safety rules are often ignored at a number of places, which leads to some-or-the other kind of accidents. He urged the people to be more vigilant and following necessary rules to ensure the safety of all. "We often see common safety message on the roads but ignore them. If we set aside natural calamities, our own carelessness led to number of accidents. We see a lot of safety rules at the workplace, but there is no compliance of the same," the Prime Minister said. He also stressed for conducting mock drills in schools on safety issues by the Municipal Corporation to educate the students on the same. 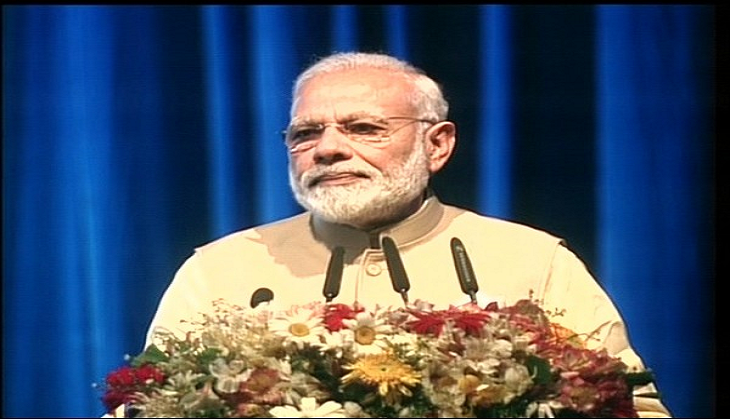 The Prime Minister said that India has taken a lead in a direction to hold a joint exercise for disaster management with other countries like the joint military exercise. "Countries like BIMSTEC, India, Myanmar, Sri Lanka, Thailand, Bhutan, and Nepal. These countries held a joint disaster management exercise. This was the first big and a big humanitarian experiment," he said. He praised the National Disaster Management Authority (NDMA) for leading various efforts taken during various natural calamities like earthquake, flood, cyclone, and landslides. "A volunteer training programme in districts vulnerable to a natural disaster is also being initiated by the NDMC," the prime minister said.